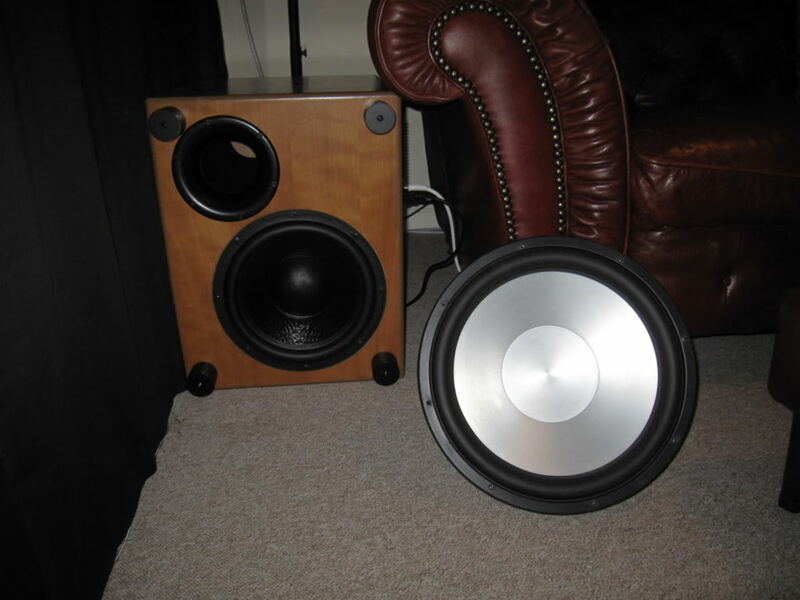 This article is all about how I made my own DIY cylinder subwoofers. 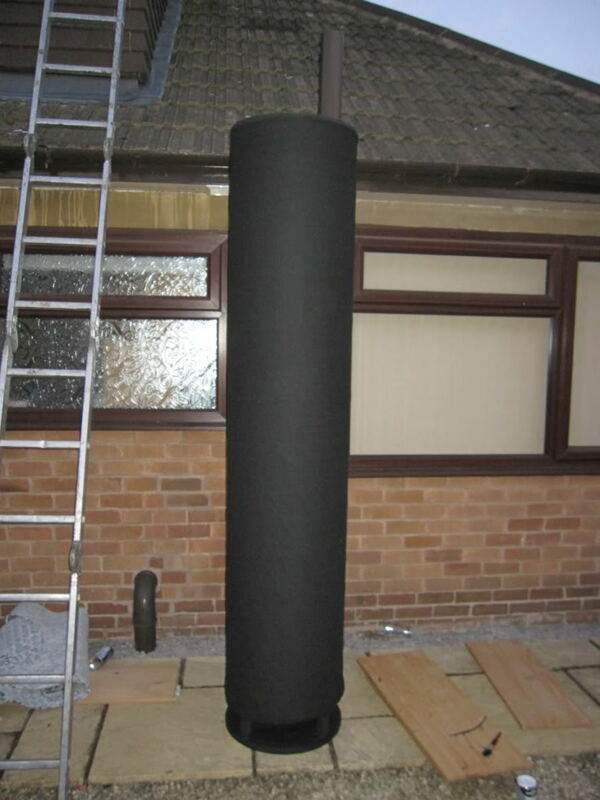 I've included as many details as I could about the process, so if you are planning on making your own cylinder subwoofers, then hopefully you'll find some useful information! 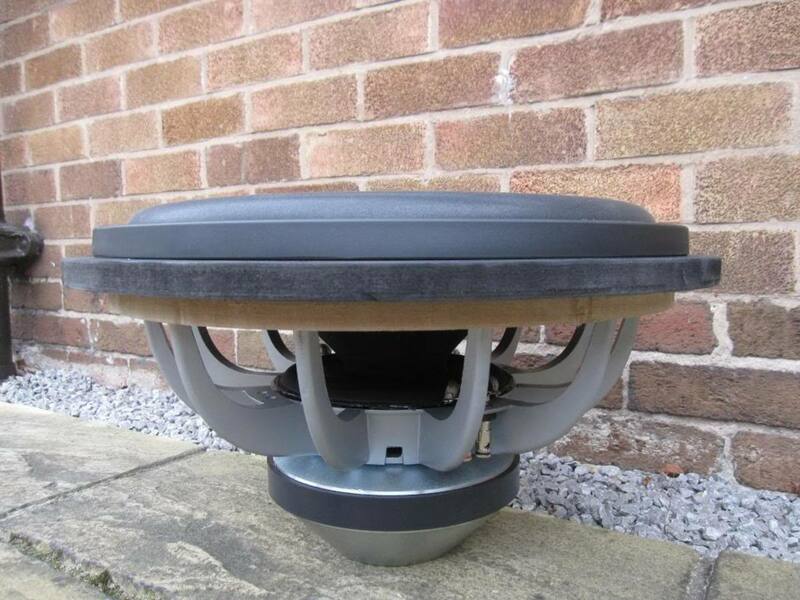 I have already written an article on here detailing the planning stage of building your own subwoofer so check that out if you want more information, this is more of a hands on guide on the process of actually putting one together. 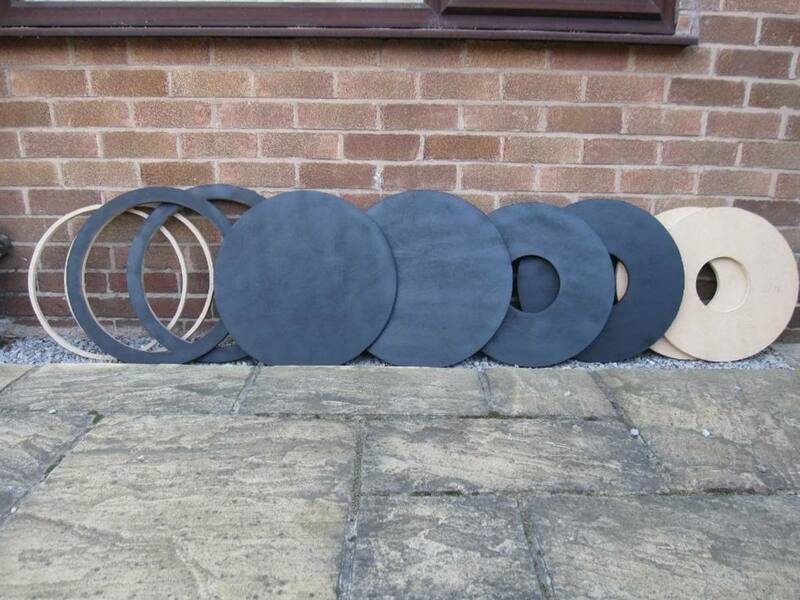 There were a couple of things that inspired me to make my own subwoofer. I wanted an SVS PC13 Ultra subwoofer as I had read good things about them, but I didn't really have the spare cash as they're not cheap. 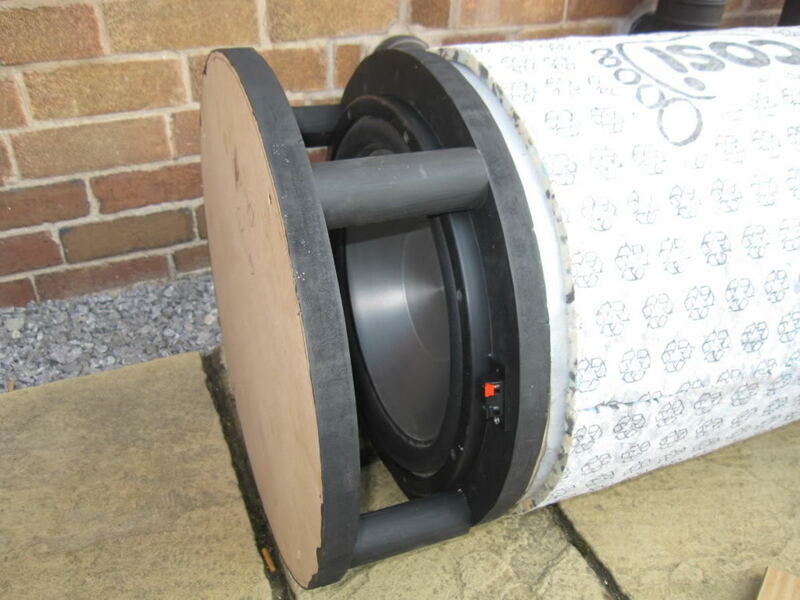 Then I started reading about DIY subwoofers and realised that I could make my own! 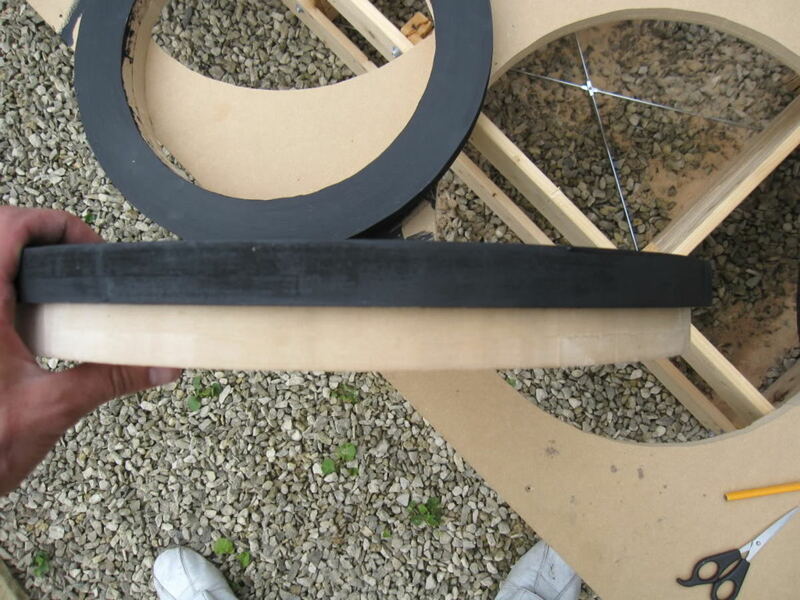 After a lot more reading, a lot of people were saying that their DIY efforts were actually outperforming their commercial subwoofers, so that really made me interested and I started to build. Of course as time went on and more and more money got spent, I realised that for the amount I'd spent I could've just bought something, but as I get a lot more performance than even a pair of high end subs out of my DIY versions, then as far as I'm concerned I made the right choice. 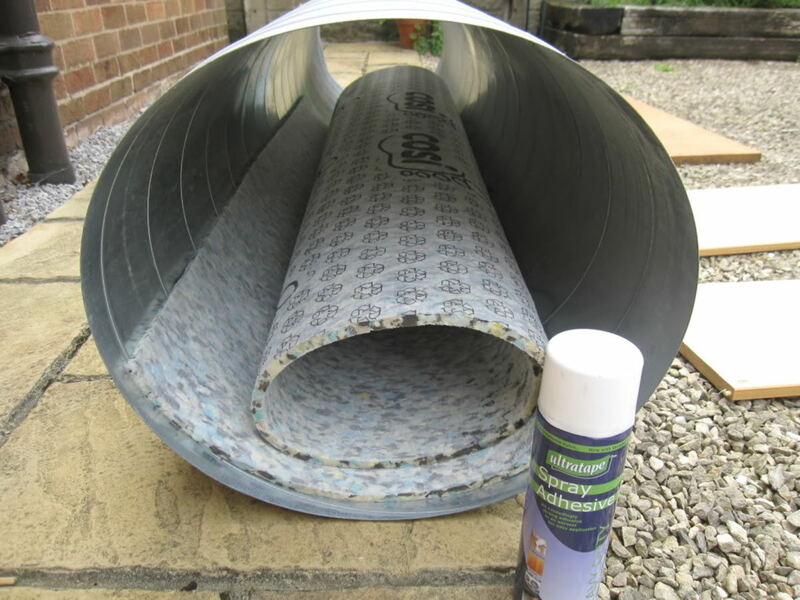 If you decide to go for the sonosub style, your location will influence your choice of materials to use. In America sonotube is easy to find. 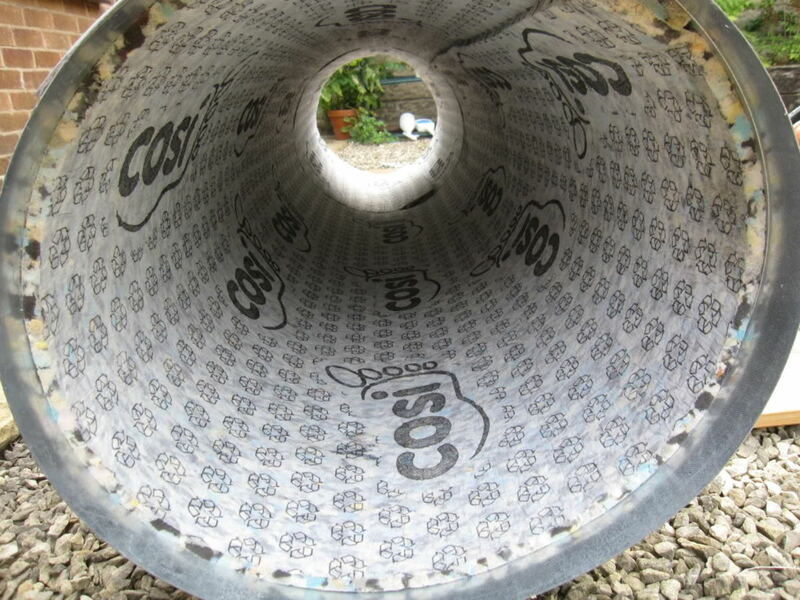 It's strong cardboard tubing that is used to cast concrete. In the UK, it's not as easy to get hold of this particular brand, but strong cardboard tube, large enough for subwoofers can be bought. 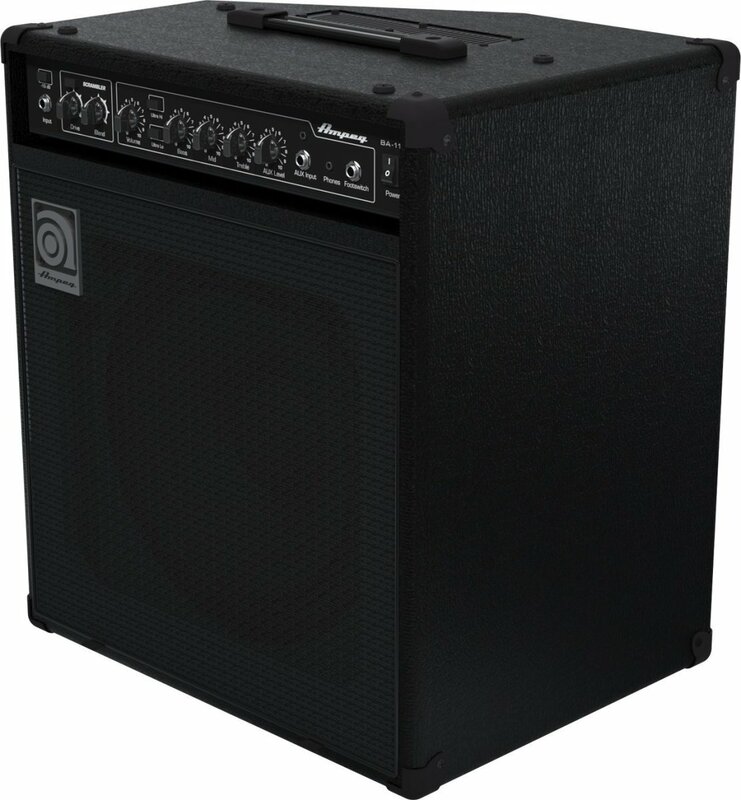 As the majority of cylinder subwoofers are made in America of cardboard tube with the sonotube brand name, a subwoofer made in this way is commonly known as a sonosub. Although I haven't used sonotube for my subwoofer, I used alumunium ductwork, it's the same design as a standard US style sonosub. I decided to build cylinder subwoofers and follow the sonosub style of build for a couple of reasons. The first is that I preferred the look of them and the second is that sonosub is probably the easiest type of subwoofer design you can build. You only need to be able to cut the wood for the endcaps. Some people may prefer the look of a box, but I like the look of these. 320 litre DIY sub on left, next to commercial PC13 Ultra subwoofer. No contest! I originally decided to build a single 320 litre ported cylinder subwoofer, tuned to 14.5hz, with a 15 inch driver from Acoustic Elegance. The driver model was AE AV15X. 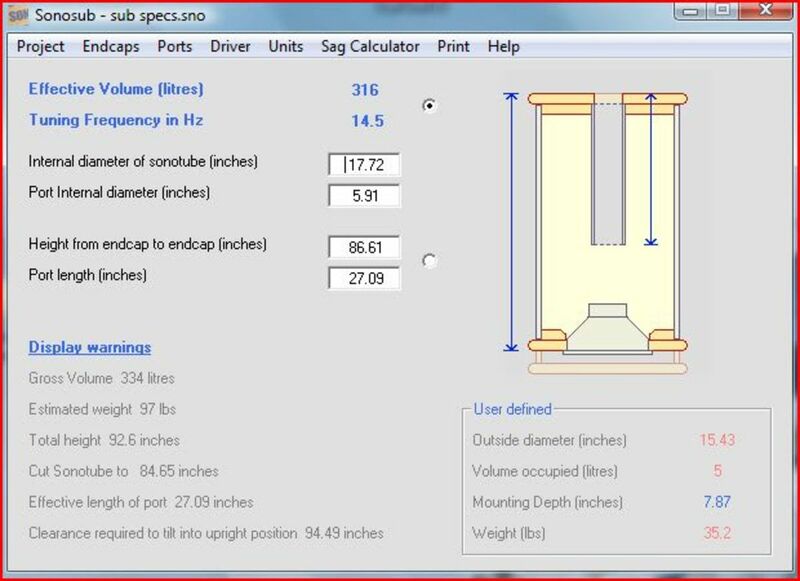 This shows the dimensions of the subwoofer, modelled using the program 'sonosub', which is an excellent and free program. 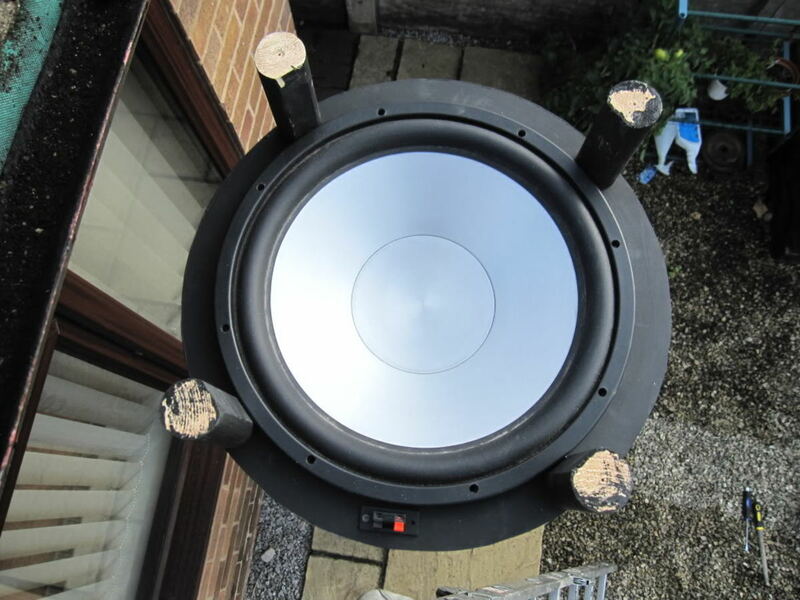 If you're going to build your own DIY subwoofer, you need to make sure you model it before you get started so you know what to expect from it. 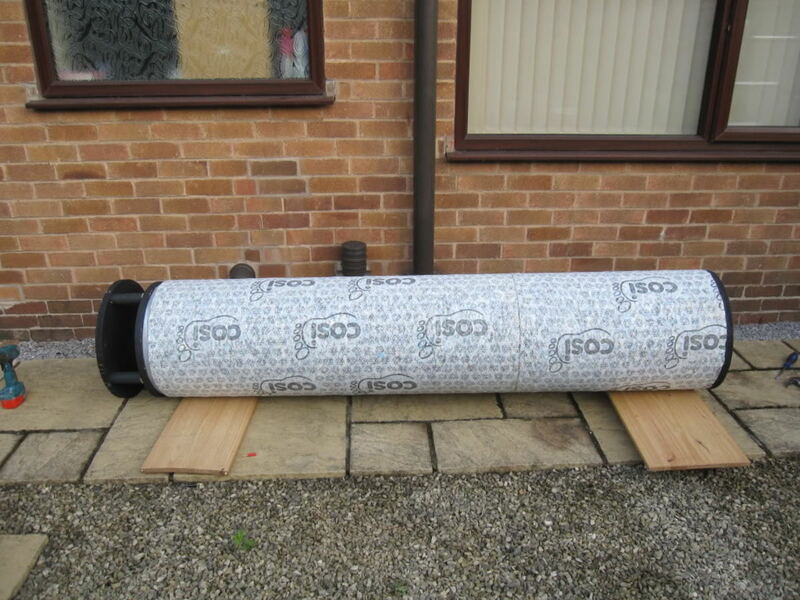 I got hold of some 45cm (approx 18 inch) diameter ductwork, which is available online for my subwoofer. You can get this stuff at up to 24 inches in diameter online easily and can even get larger if necessary, not that I think you'd need wider than 24 inches for subwoofer building. These are what my measurements looked like once I'd worked them out using the Sonosub program. 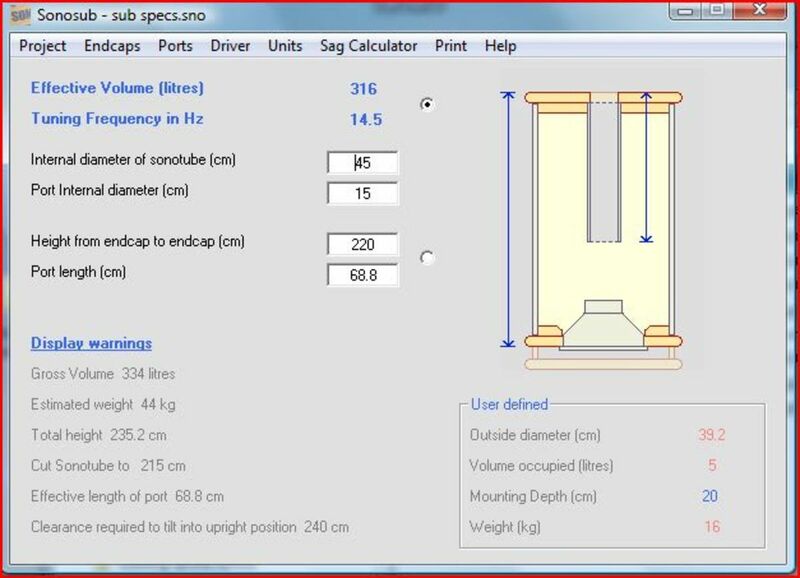 Sonosub allows you to work in both imperial and metric measurements. For some reason I usually use a combination. 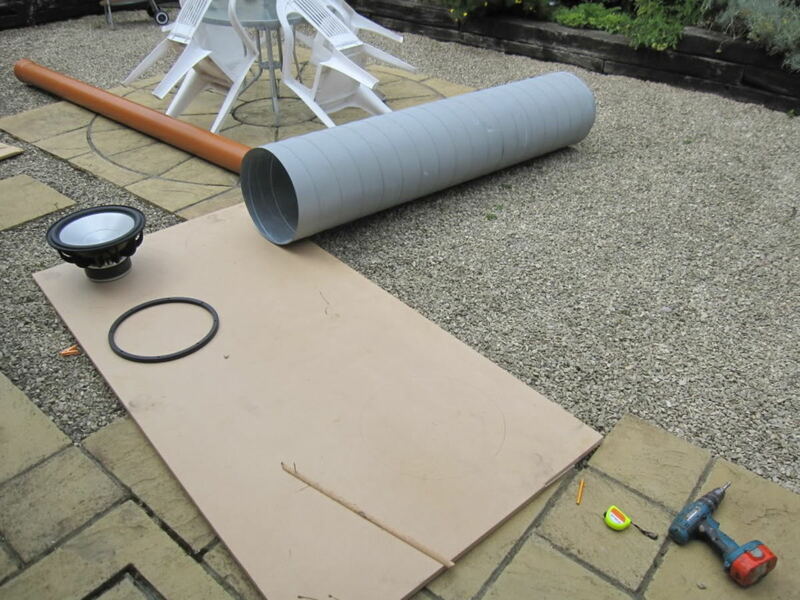 The cylinder was made from aluminium ducting pipe, lined inside and out with foam, with mdf endcaps. 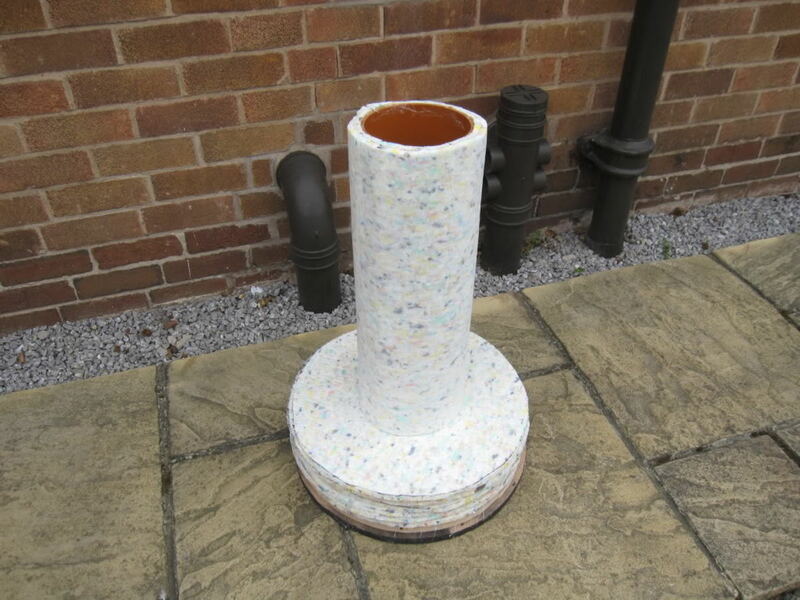 This shows the ducting pipe, it's 18 inch in diameter. In the background is the 6 inch drainage pipe that I used for the ports and you can also see the driver. 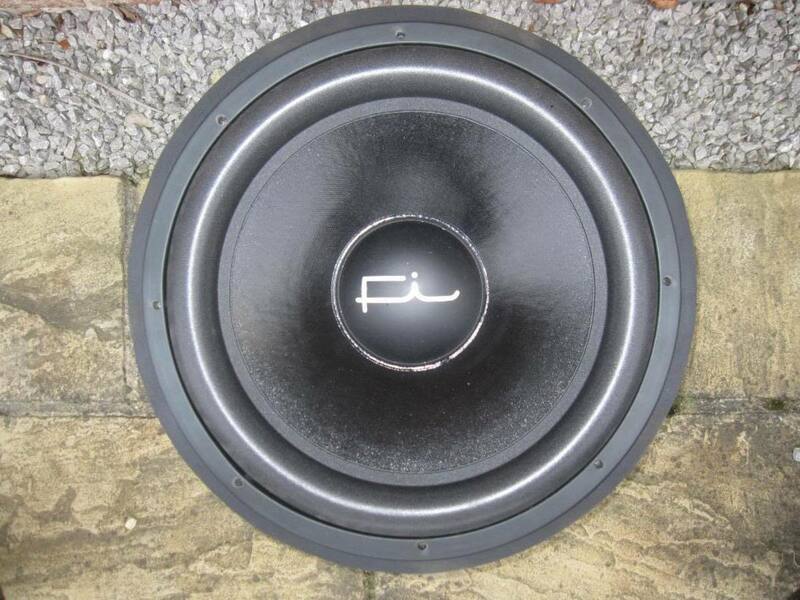 This is the subwoofer I had before. 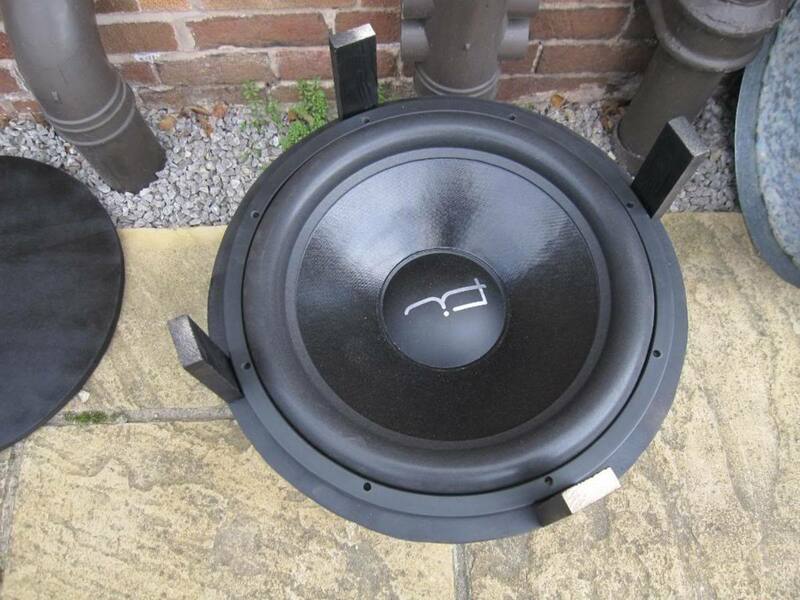 This is a BK Monolith subwoofer, which is very well regarded and gets excellent reviews. There was nothing wrong with it, but I decided I wanted an improvement in quality and output, which is why I decided to get stuck into the DIY project. The new driver for my DIY subwoofer is next to the Monolith, which uses a 12 inch driver and has a cabinet volume of 95 litres. The new one at over 300 litres was going to be 3 times larger! 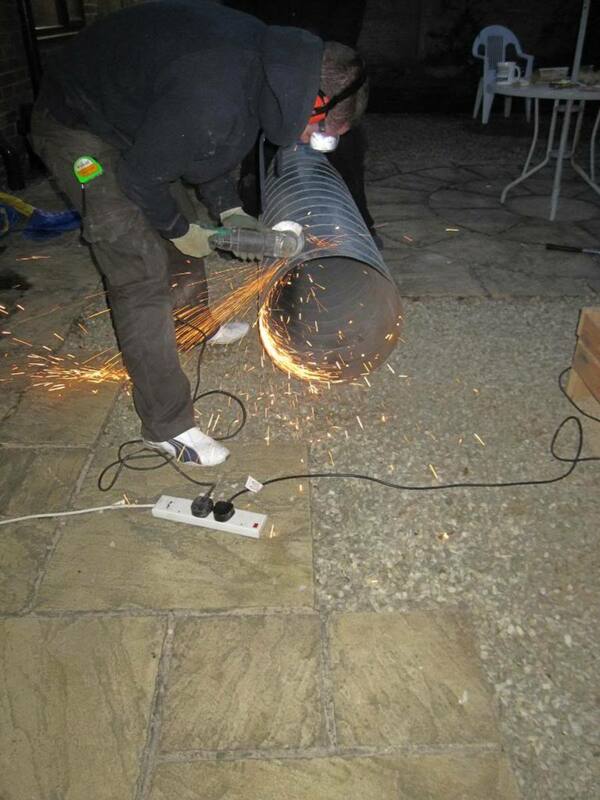 This was the first stage of the build, cutting the cylinder to size. This is easily done with a metal grinding blade in a 4 inch grinder. 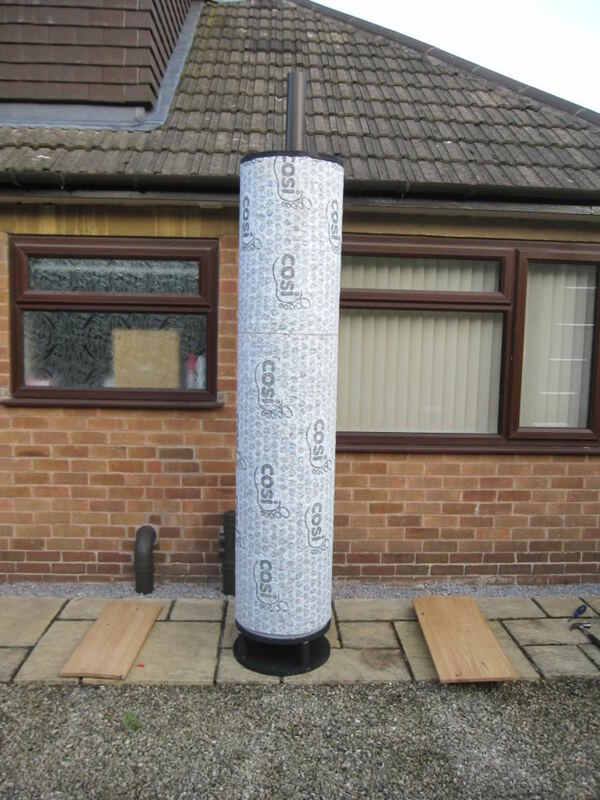 Luckily enough as I am a roofer I have access to all my roofing tools, so I didn't have to buy a lot of different stuff to get started, but if you haven't then you can get away with a cheap grinder as they do much the same thing as the offerings from brand names like dewalt etc. Marking out it out accurately is very important beforehand. This can be done with a measuring tape and marker pen. Make sure you've got hearing and eye protection, as it's incredibly noisy and you really don't want a piece of hot metal going in your eye. 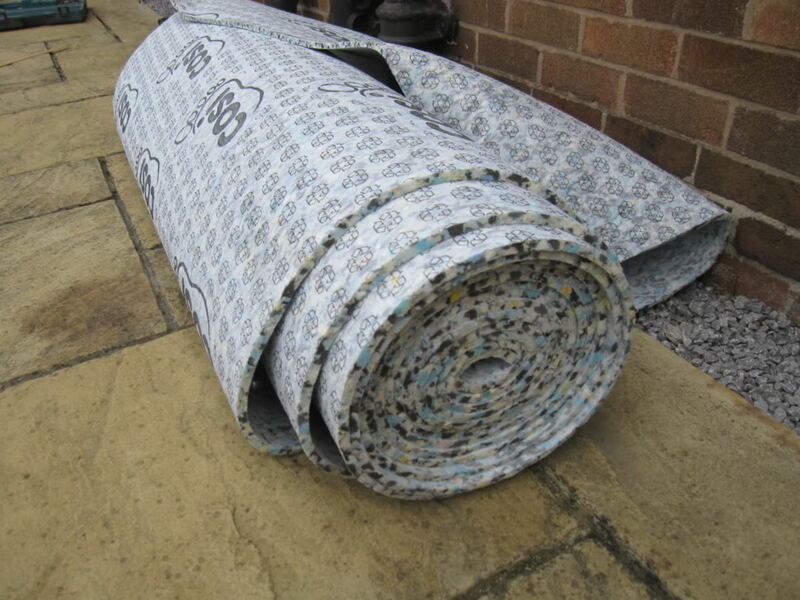 I wanted the subwoofer to be soft and springy to the touch, rather than a hard piece of metal, so I bought this 10mm foam carpet underlay. I lined the inside and outside of the cylinder with this. 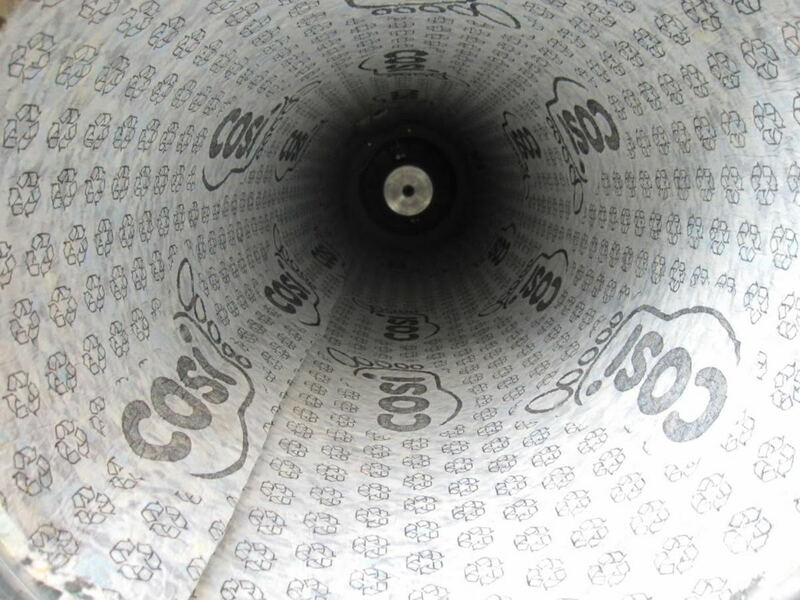 The inside needs lining to stop resonance. 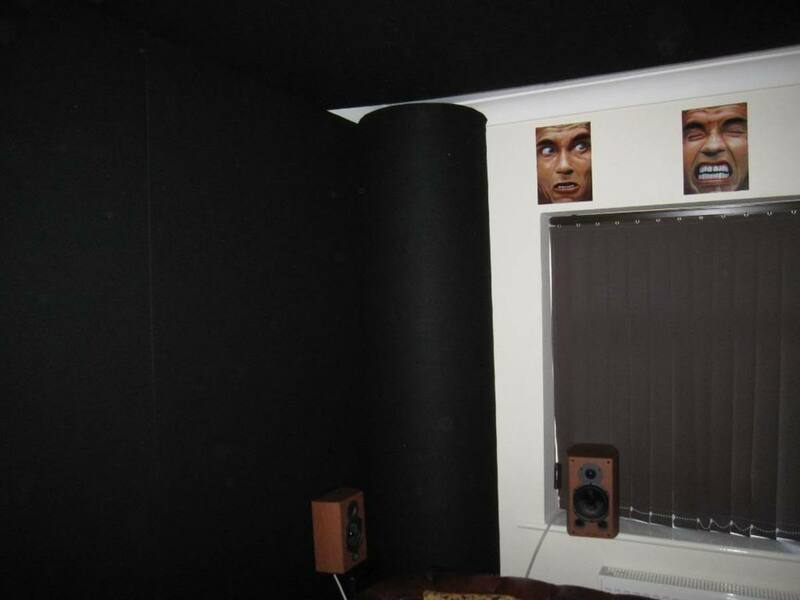 Ideally you'd use acoustic foam on the inside, but I was on a budget so I used this. It worked, but if you're not on a budget, then you might want to get some different foam, or maybe cork. I didn't need to line the outside for acoustic purposes, but I thought it would make the subwoofers better to touch if they were lined on the outside as well and it worked well. This was the foam before I stuck it inside the cylinder. With spray glue and some swearing, I managed to get it all in there. This is the view I had after it was done. After this, I could shout or clap into the cylinder and instead of there being a reverberating echo, it was dead sounding. This is what you want, so you don't get a boomy echo when you're using the subwoofer. 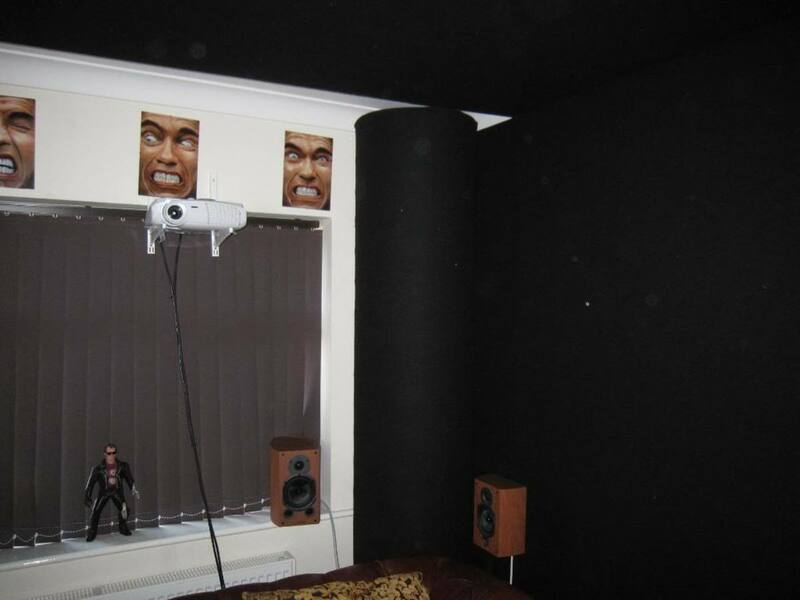 I'm not sure that acoustic foam would've done a better job to be honest and it would've cost a fair bit more, so I was happy with this stuff. I left it an inch short of the end, so that the endcaps would fit in without catching on the foam. 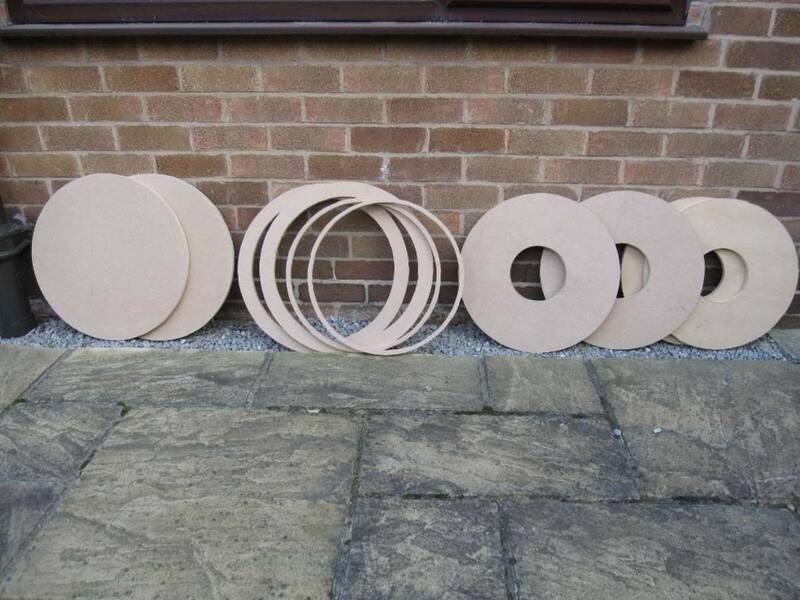 These are the endcaps that I cut from a 4x8 board of inch thick MDF with a router. I have written another guide about how to use woodtools, so if you're not too familiar with them then maybe have a look at that. For these endcaps I marked out the circles and then cut them free hand with the router. It's pretty easy as long as you take your time and don't rush it. These are how they looked before I had sanded and painted them. The ones on the left are for the top and include a hole for the port, the ones on the right are for the driver on the bottom. These are the endcaps after they had been painted and screwed together. 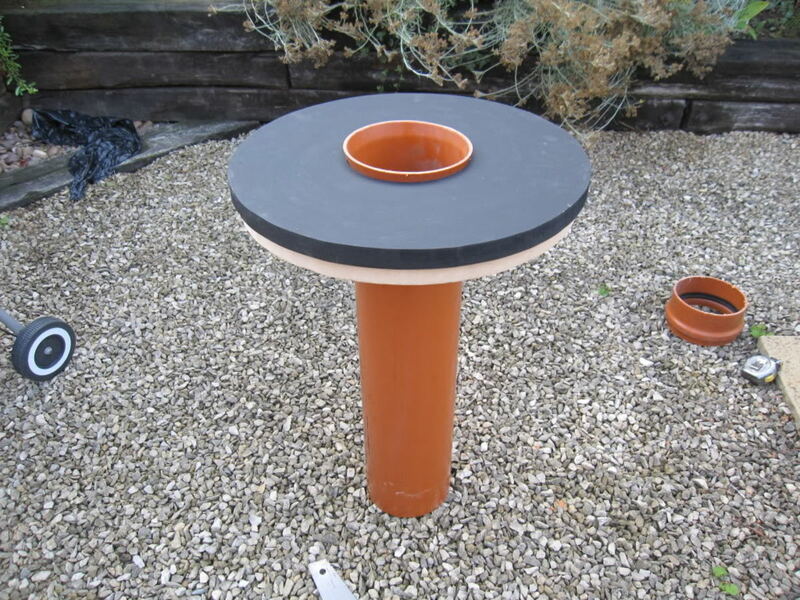 The unpainted part fits in the cylinder, the painted part is for the outside. I made it about an inch bigger than the cylinder to stop it from going in when I tapped the endcaps into place. After attaching the legs and the spring clip terminal, this was what I was looking at. I attached the legs by predrilling them, then screwing them in from the inside part of the endcap. I then tapped the endcap into the cylinder. This part is hard, it takes a mallet, someone holding the cylinder and someone forcing the endcap in. It needs to be a tight fit so air doesn't escape when you're using the subwoofer. After fitting the endcap inside the cylinder, the next step is to drop the driver in. This is what I'm doing in this picture. I had already lined the outside of the cylinder with foam by this point. Spray contact adhesive is good for this, just make sure you have plenty of it. I used two large cans to do both inside and outside. If you need a ladder to climb your subwoofer, then you know you're getting serious! This is the view afterwards. After the driver was in, then I attached the floor plate. This is simply screwed on. I predrilled the legs so they didn't split when the screws went in. Once I'd dropped the cylinder onto its side again, this is the view I had looking down towards the driver. That's the magnet that you can see in the distance. 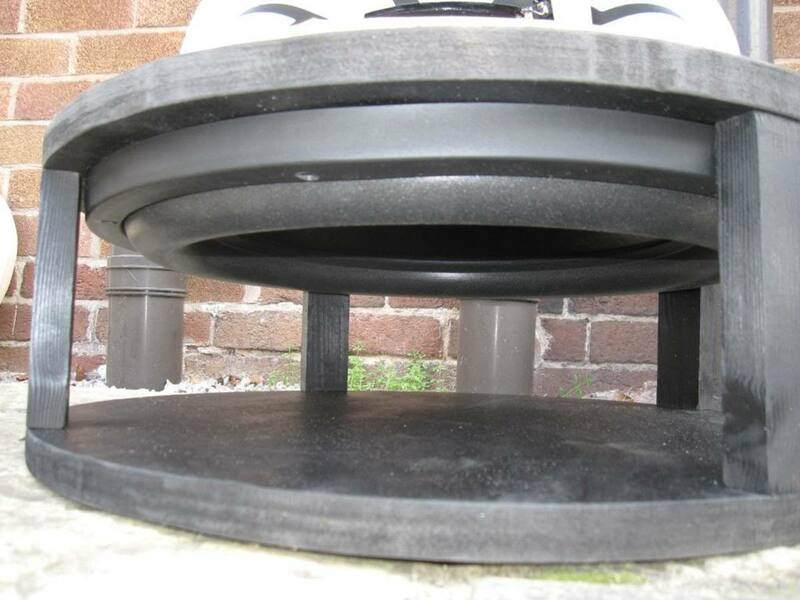 This is the top endcap, once the port had been fitted. I cut the hole for the port with the router at the same diameter as the pipe and then pushed it in. It's a very tight fit, so didn't need gluing, but I put some small screws through the plastic into the wood, just to make sure. I then lined the whole thing with plenty of foam. There are 10 pieces on the cap stacked on top of one another and glued. This stops any resonance from the top cap when the subwoofer is working away. This is what it looked like once I'd got the topcap in. I supported the cylinder on some blocks of wood to make bashing it in a bit easier. It's still very tough so be prepared for some struggling. I wanted a nice air tight fit. Here it is standing up after the cap had been put in. The only thing left to do was to line the outside with fabric. I used black speaker grill cloth. This gave a nice velvety finish. I spray glued it on, then stapled the seam together. The sound quality of this subwoofer was excellent. As soon as I heard it, then I realised I wouldn't be going back to my Monolith and sold it straightaway. I used it in my home cinema room for about six months, then I decided that I wanted a bit more output. The quality was great, but I just wanted a bit more headroom. As I couldn't easily get hold of another AV15X driver as there were production issues, I decided to sell the 15 inch driver and buy these. 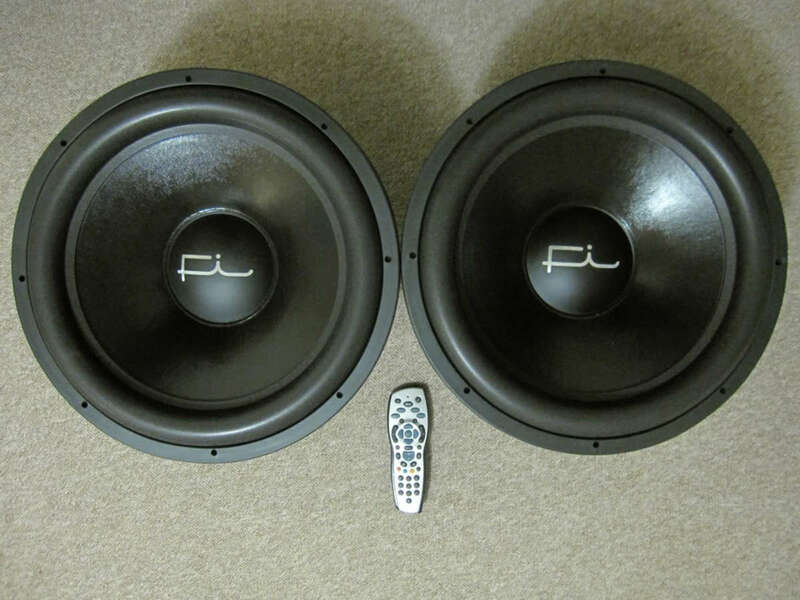 They're 18 inch drivers from Fi Car Audio, Fi Q18s. I took a photo of a remote control next to them so you can get an idea of the size of them. I had originally thought of getting two Q15s, but as the price difference between 15 and 18 inch drivers is so small, I thought I might as well get the 18s and just shoehorn them into the cylinders somehow! I got hold of another cylinder and made some more endcaps. 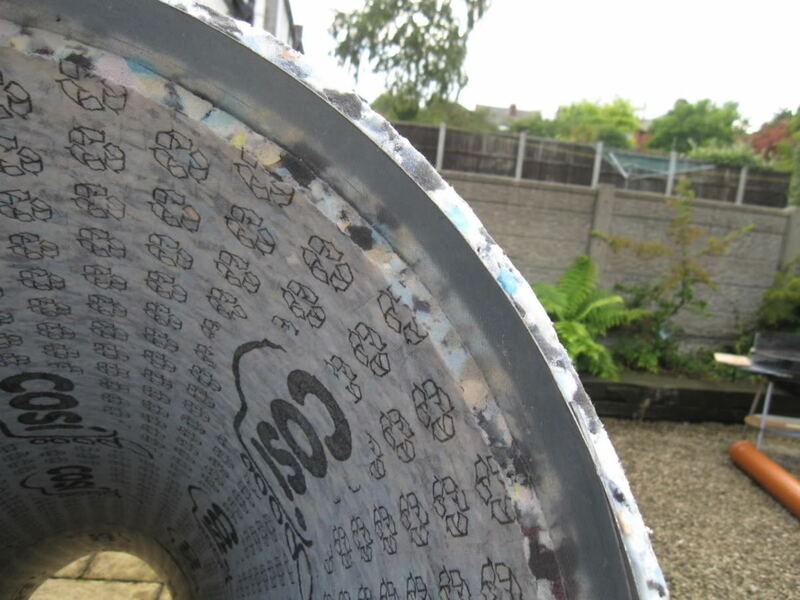 These drivers are 18 inch diameter, which is the same size as the cylinders that I had so initially I thought it wasn't going to be possible, but then I realised that only the basket has to fit inside the cylinder and that part is approx 16 inches, so it was going to be possible. Of course this meant making new endcaps. If I'd had a larger budget and a larger room, then I would've just gone up a size with the cylinders. 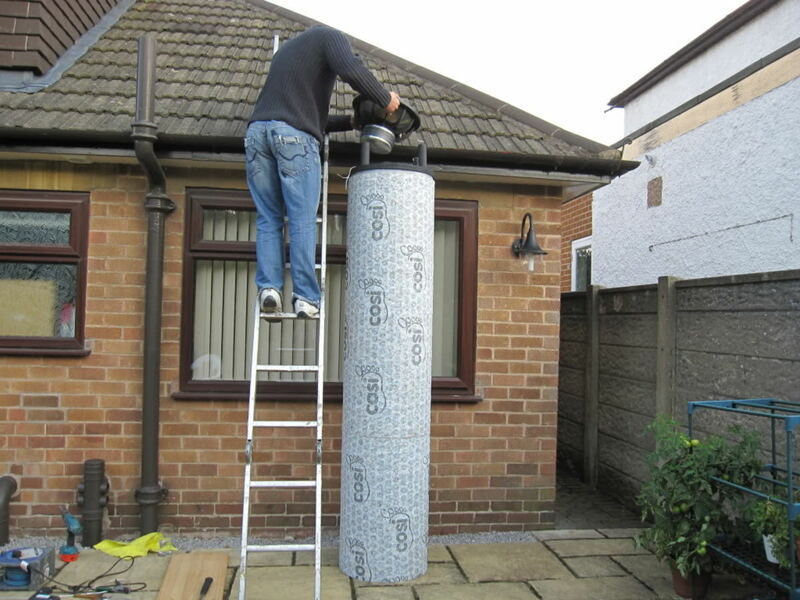 I didn't have the room to do so though, so I made do with the cylinders I had. For ease of use though, I'd recommend getting cylinders at least a couple of inches wider than the driver diameter if possible, although if you're limited on space like I was, then it's perfectly possible to do it the way I did, it just takes a bit more effort. My DIY skills were activated again to make this lot! This is after spraying them matt black. I would recommend spraying instead of brushing as you get a nicer finish. They take several coats and priming them first is recommended. After the endcaps had been sprayed, I then screwed them together. The narrow ring fits inside the cylinder and the wider one is for the outside, which is why only one of them is painted. This is what the driver looked like once it had been screwed into the endcap. There is not much of the endcap to be seen as the driver is large, but there is just enough for the mdf to squeeze into the cylinder for a tight fit. As you can see there is very little room, so the terminals now had to go onto the topcap, with the speaker cable running down the inside of the cylinder. I decided on a slightly different approach for these, I built the endcaps first and screwed in the driver, with the plan of dropping the cylinder onto them. I wouldn't recommend doing it this way. The other way, where I fitted the endcaps into the cylinder, then dropped the driver in, was a lot easier. But once I'd started, then I had to get it done, so that's how these were done. As there wasn't much room now I was using a different driver, I also had to use different legs. These are 1/2 inch lath and fitted perfectly. Once the floorplates had been attached. After I'd made the endcaps, it was simply a case of repeating what I'd done the last time, getting the endcaps inside the cylinders and lining the outside with fabric. I then had to manouver them into my room. Here they are in situ. The room is blacked out apart from the back wall which is the one you can see here, I took the photos with my back against the screen. Here they are together. The white blotches are dust or something on the camera lens. I couldn't get a good picture, as the room is so dark, but when I can get my friend who has a far better camera than me over, I'll update with a new revised photo. You can see how they look in the room though, although they're large, they're not overly intrusive as they black and the fabric I used to line them is the same fabric I used to make the frames for the walls. I've written another guide on how to do that, so have a look through my related articles if you've found this one useful. The subwoofers are hooked up to a Behringer EP4000 power amplifier. 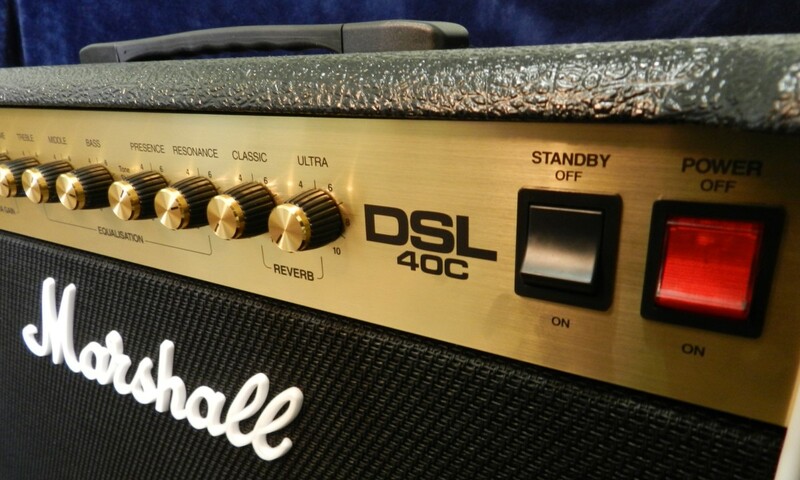 It's an excellent amplifier that powers both subwoofers with ease and I can recommend it. I modified the fan by replacing it with a much quieter type. This is very easy to do and is a worthwhile modification as the amplifier is a bit noisy if you don't do this. I calibrated the system using Audyssey on my Denon AVR receiver. After I had listened to the subwoofers for about six months, I decided to try them with the ports bunged. I bunged them, calibrated the sound system again and had a listen. There is to my ears anyway an improvement in sound quality now so I'm leaving them like that. The ports being bunged does lead to potentially less output if you are running them at maximum capacity. As I had plenty of output from them anyway and was not running them at full bore, it was not a problem. Recalibration boosts the bottom end to make up for the lack of assistance the port gives. This led to the amplifier gain being increased, so I get the same out of them as I did before, but with an improved sound. If you want to maximise the output though, then leave the ports unbunged as the port adds to the output, so you can get more bass. 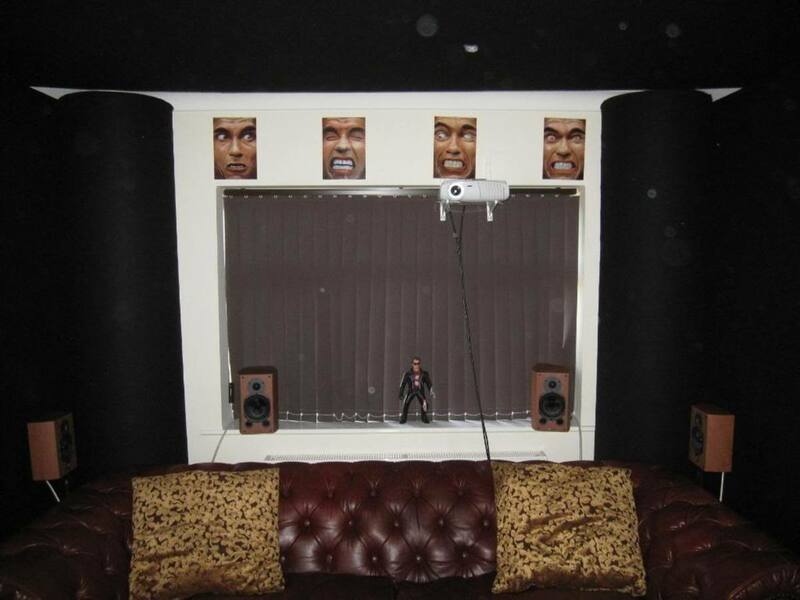 In the room I use them in, I didn't need the full output that they give, so it wasn't an issue, but if I was using them in a much larger room and needed them to be running at near their max capability, I may well have kept them ported. 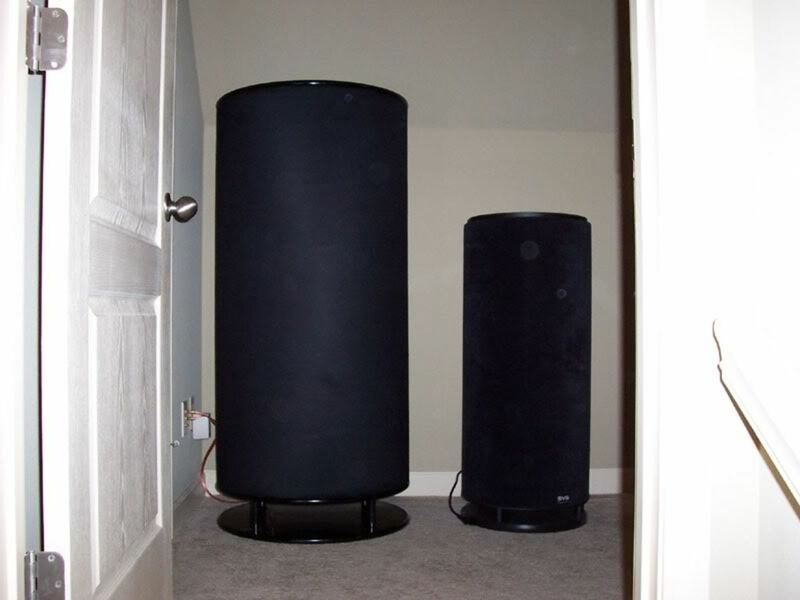 The quality of sound from these subwoofers is absolutely fantastic, they have a lot of power so can shake the doors in the house if I want them to, but they are also capable of subtle and detailed bass. They have a very clean sound, so there is no booming or overhang, but when there is a heavy bass scene on screen, they really deliver. I would highly recommend building something like these if you are interested, it wasn't too tough and is a big upgrade from any commercial subwoofer I've ever heard. As a matter of fact, I ended up listening to a pair of SVS PC13U subwoofers at a fellow AV geek's house. He came to my place and demoed my subs and I went to his place and demoed his. 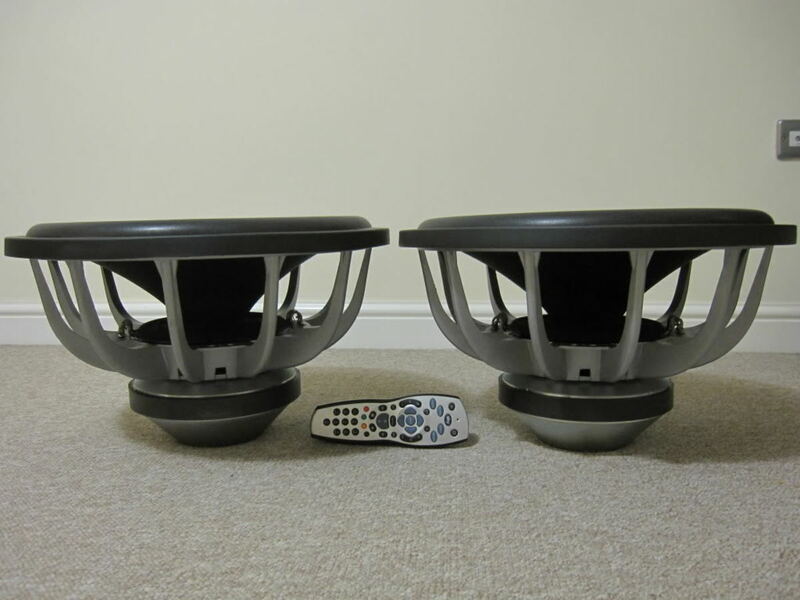 Bearing in mind that the SVS subwoofers cost way more than these and were the original inspiration for my DIY project, I was expecting big things. There was no doubt in either of our minds that mine sounded considerably better than his. I didn't voice my opinion too much to him as I knew he had paid a lot of money for his, but the evidence was as clear as day once we heard his versus mine. DIY is definitely the way forward! My Onkyo AV receiver got LFE output and connected to Behringer 2000 amp to power my sono. This is amazing. I am already putting a plan in place to replicate this project for my theater. I have never used amplifiers outside of my Denon AVR. 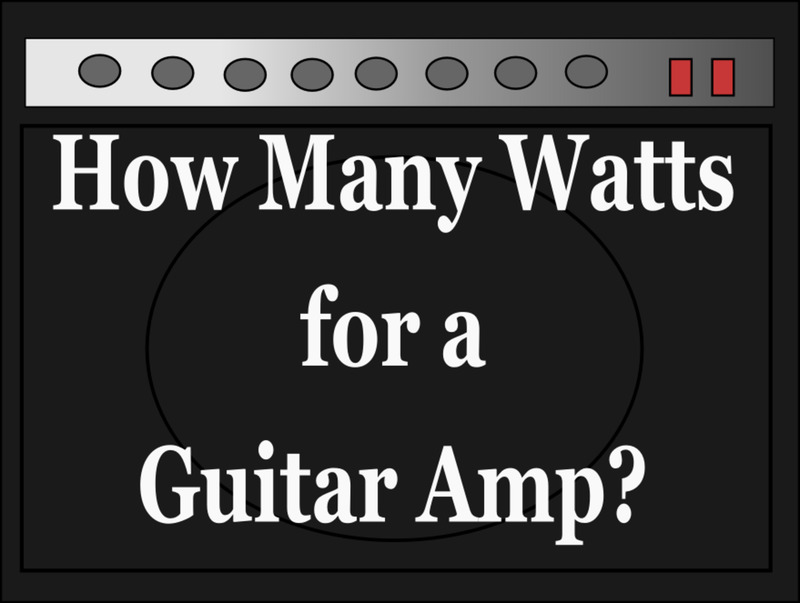 Is there a way to use the LFE output from the receiver to feed the signal to the Amp? Or do I need to use the front main speaker outputs to the amp and then out to the fronts and subwoofer? Hi I will do that once I measure them. Thanks. Well done chap, I like it. Can you show some frequency graphs of the final results after they have been EQ to the room? 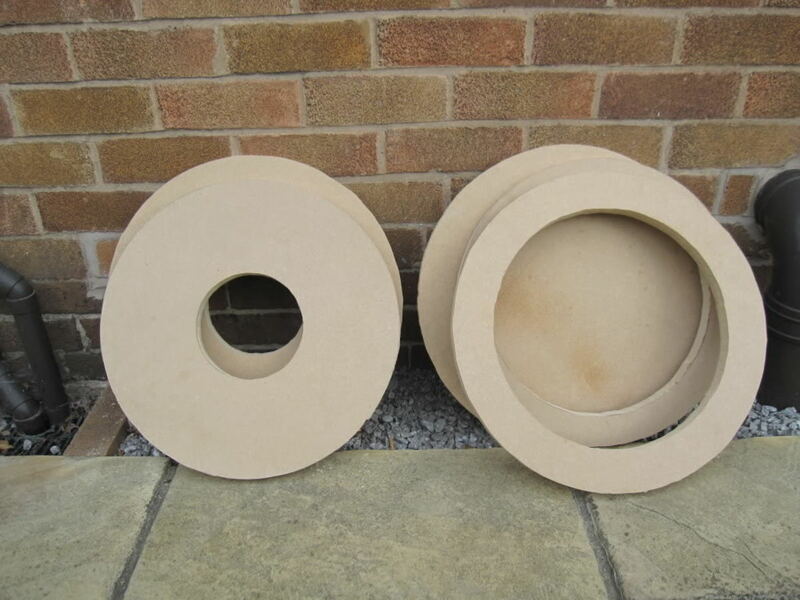 Well I will be going for an infinite baffle for my next project. That house wasn't suitable for it, but I've now moved and have the room to do it now. 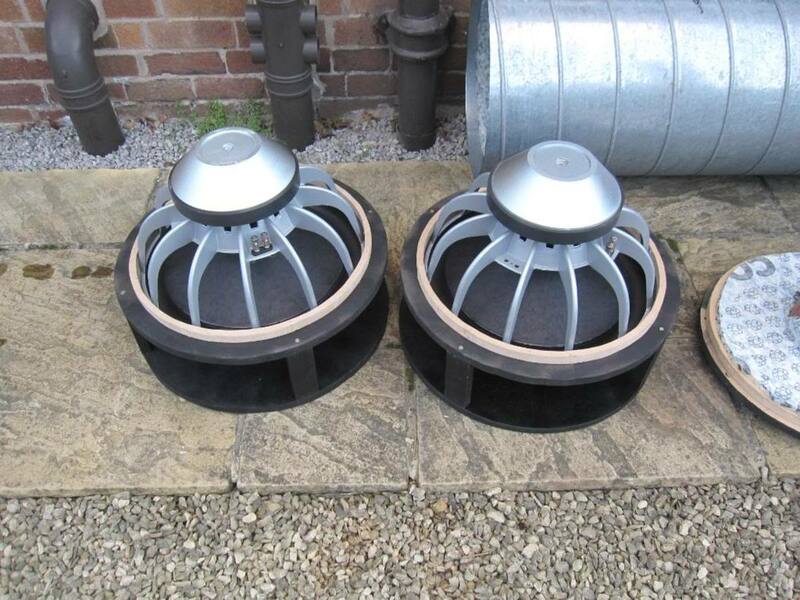 Why not eight infinite baffle set up? 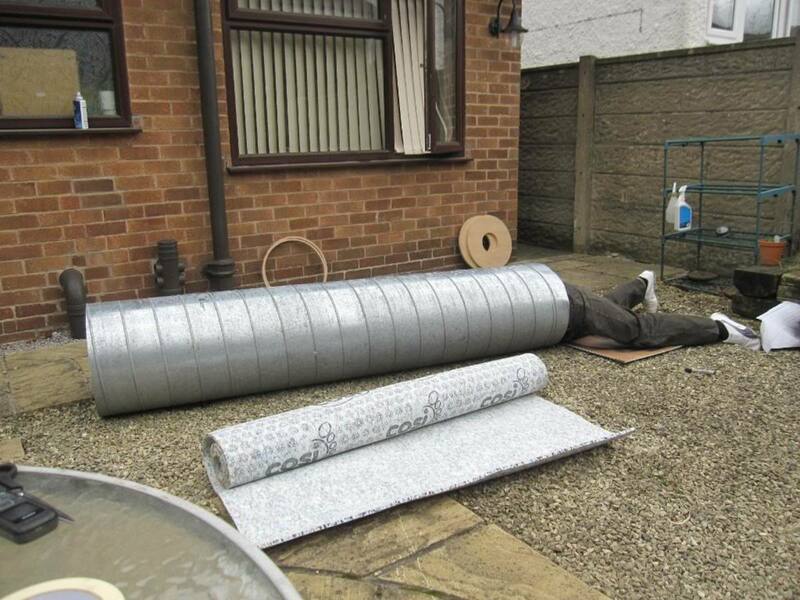 To be honest if I could've got it I probably would've used it but its not as easy to get in UK and I got the metal ducting for free. Whichever is used it would need to be damped though. 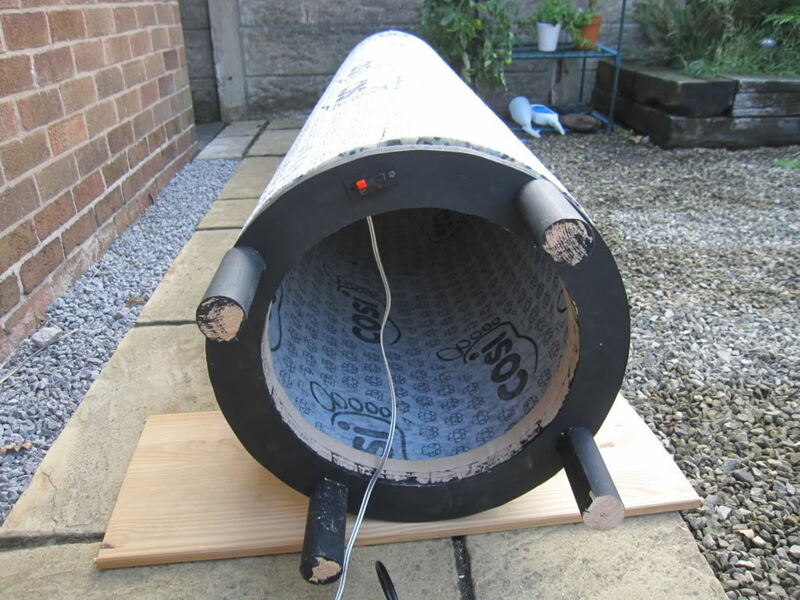 why not use Sonotube instead of a metal tube... weighs a whole lot less and i would think the dense cardboard would help dampen the structure. Don't just think, do it! Gaming and films are 100 times better now. That looks like a great project. I'll have to consider building something similar. Thanks for sharing.